Cheap AZ Towing understands that getting in a car accident can be a terrible and stressful experience. It can be hard to think straight, and often know what to do next. In Queensland there are obligatory steps to take, that will help ensure the safety of everyone and involved and other motorists on the road. When you’re in a car accident you must stop at the scene. If you don’t stop you are committing an illegal offence called a hit and run. If anyone involved needs medical attention you must immediately call 000. You will also need to call 000 if the accident has created a hazardous environment or traffic congestion. If there is no emergency, but you require police assistance to deal with either suspicion of the driver being under the influence of drugs or alcohol, a driver failing to provide their details or a driver with an impairment or disability call Policelink on 131 444. Once you’ve established if emergency services are requested, you can then move on to the next steps. When you’re in a car accident that involves another person, you must exchange details with each other. These details will include things like your name and address, (if you don’t own the car, and you were the driver you also need to provide the name and address of the person who owns the vehicle), phone numbers, vehicle registration number and insurance provider details. 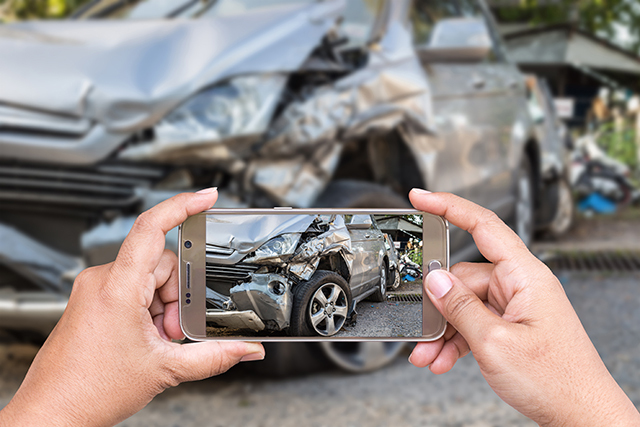 Document the scene with your phone camera, this will help you with your insurance claim. Above all make sure that you stay aware of your surroundings, especially on busy highways and streets.